So, what have we been up to recently? We’ve been getting into interactive streaming – one of this year’s major trends! Thanks to our awesome Community Manager, Sarah Marie, who suggested streaming as the way to increase our discoverability, we have been trying out Mixer and using their Mixplay tools to let streamers and viewers interact in real time. With its sub-second latency it means viewers don’t just watch games in progress – they can actually join in and influence the gameplay. It is so much better than passive steaming as everyone feels more connected and involved. 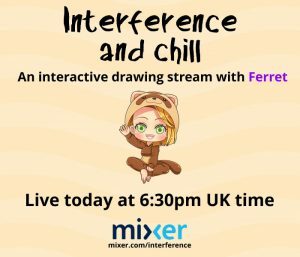 For example, we first tried this out in our popular drawing game Interference (https://www.playinterference.com/) It was Halloween so we decided to add some tricks and treats to the live drawing stream that Sarah was doing each week. She was doing a session every Wednesday evening to show people how to play the game and how it works. Adding in ways for the viewers to interfere with what she was doing has made the stream even more popular! Sarah enjoys the steaming much more too – in fact she says she doesn’t want to go back to playing Interference without Mixplay! It’s also great how people who enjoy watching the stream do go and play the actual game afterwards. But, how does the Mixp;ay work? 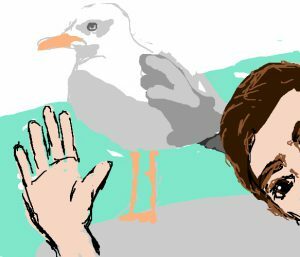 Nicer viewers can give her extra time (in Interference you only get 10 minutes to complete a drawing) or restore the colour palette if it’s been restricted in any way or even put back the undo button. It makes things “interesting” for the streamer and fun for the viewers, because they can join in and enjoy the reactions of the streamer as they unexpectedly get helped or hampered during the play. It is certainly making a difference to her viewing figures! If you’d like to see Sarah in action, and interact with her in real time – have a look at our Mixer channel on Wednesday evenings from 6.30pm – 8pm every week. 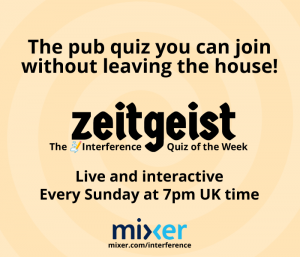 In our next blog post I will be talking about how we decided to use Mixer’s sub-second latency to host a real live pub quiz on Sunday nights! At last we’ve edited the video of our EGX 2018 talk :If You Build it, They Will Come (Spoiler: They Won’t) a.k.a. A realists guide to game dev! 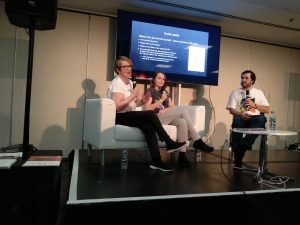 You’ll get some insights into what it is like to be a small indie games development company and how you can try to overcome the challenges and make the most of the opportunities.